Do you like the official iPhone XS and iPhone XR Smart Battery Case? 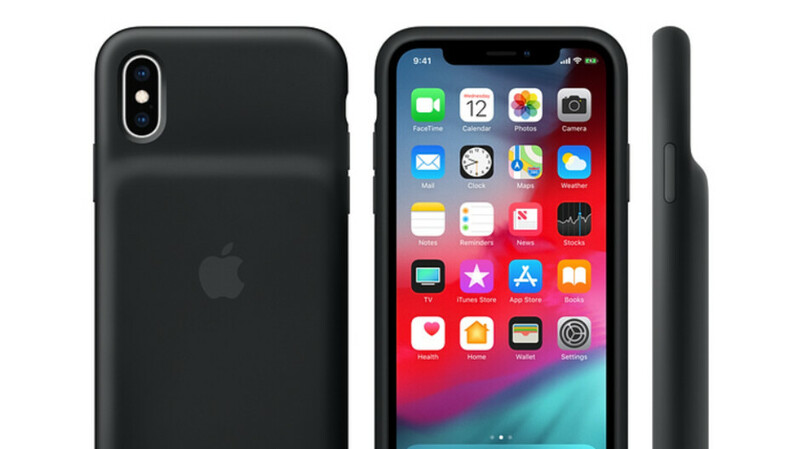 So, Apple has finally dropped the revived version of the Smart Battery Case, launching it in three form factors for the new iPhone XS, iPhone XS Max, and iPhone XR. The first time we saw this product was in 2015, when Cupertino launched it for the iPhone 6s and iPhone 6. It was met with a mixed response, due to its odd hunchback nature. One can argue that it's not particularly easy to make a case that's supposed to hold a mini powerbank appealing. And Apple chose the particular design it went with so that the case could be a very easy-on, easy-off solution all the while also leaving the device's sides thinner and easier to grasp. Of course, there are other battery cases out there to please anyone's aesthetic preferences. But we wonder — what do you think of Apple's particular solution? It may have grown on those that disliked it originally or it may still be blacklisted by others. Would you get this over a 3rd party product? Vote in our poll! What do you think about the new Smart Battery Case for the iPhones? Majority is 75% android voting hate it where in fact they don’t own an iphone and much more able to buy $1000 phone. They jusy want to troll. Well he is right. We are more able to buy a $1000 dollar phone but just aren't stupid enough to buy it specifically for a logo. Glad that it's a thing at least. One of the ugliest battery cases in history with only the original Apple smart case ahead of it. Quality design is only a memory at Apple at this point. Ignoring is the worst you could do. Because if you ignore it, it won't change to a better one. Pretty sure Apple doesn't come on PhoneArena and sees this poll and thinks oh we have to change it up. So ignoring is the best thing to do. If people don't buy it, perhaps then Apple will get the notion it's too ugly for words. Have iPhones here. Hate this look. Just over 1300mah, this thing is a joke! Lmao. Also it fits the iPhone x except for a bit of coverage of the speaker holes but iOS locks it out shii or wont work. Hahahahahahah!!!! Update: seems 9to5mac and macrumors didn't investigate before reporting the above. There are 2x1300mah cells which is why it's so bulky. Also it's not confirmed it won't work on the x but at least one early user couldn't get it to work.